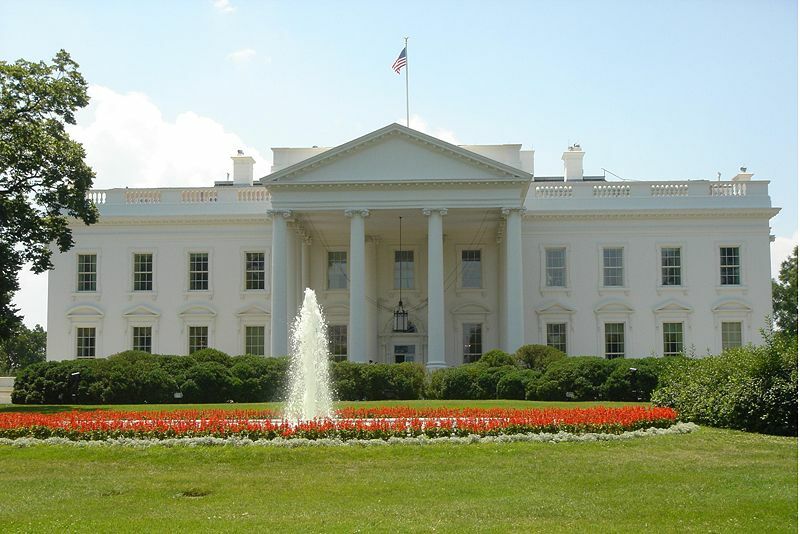 North façade of The White House, Washington D.C.. An Example of American Palladianism. The neoclassicism is a period that spans from roughly 1760 to 1830, during which many different – but like feel – styles emerged. As a reaction on the rococo, there was a renewed interest in the philosophies of the ancient Greeks and Romans, partly fueled by excavations of the buried cities of Herculaneum and Pompeii. In the 18th century, many young men traveled through Europe on the so-called “Grande Tour” to enrich themselves spiritually with Italy as one of the favorite destinations. Inspired by the many Roman ruins and temples a new style was created, based on the classical examples much like during the Renaissance. The rococo with its exorbitant decorations which seemed to fulfill no other means than just to decorate was abolished and replaced by a more utilitarianistic view. The reasoning based on ratio that evolved during the Renaissance had never disappeared and it had an impact on the 18th-century mindset in the form of the enlightenment. Freeing oneself from the bonds of doctrines was considered a virtue in the circles of these thinkers, while despised by others. While the luxury of thinking about freedom is usually restricted to those who can afford it, it did have a large impact on the general population of the time. Up until the 18th-century, it was unheard of that the working classes would openly criticize the rulers of the day. During the reign of Louis XV of France, this changed and the people openly mocked the King through libelles (mockery pamphlets) and eventually this spiraled into a general consensus of disapproval towards Louis and all he stood for. The later King Louis XVI could not change this attitude and he himself became subject of ridicule. Eventually, this all led to the French Revolution with reforms throughout Europe and the American Revolution. Arguably one can place the different styles of the late 1700’s and the early 19th century under the single “neoclassical” header. These styles have one thing in common; the revival of ancient arts, being that Roman, Greek or Egyptian. Regional differences are important but are very hard to detect in jewelry. Due to the fast developments in taste and politics, there can be no fixed date given to when one style starts and when the other ends. In the English speaking world, this period is generally known as Late Georgian and starts around 1760 and ends around 1830 (or 1837) to make a cut off to the Victorian era. For other countries, other dates apply. The rococo had never really been accepted on the British Isles and it was here that the new neoclassicism first emerged. Early in the 18th-century, an early style of classicism evolved in Great Britain in the form of Palladianism. Andrea Palladio was a renaissance architect who developed houses based on strict ancient Roman rules (taken from Vitruvius). 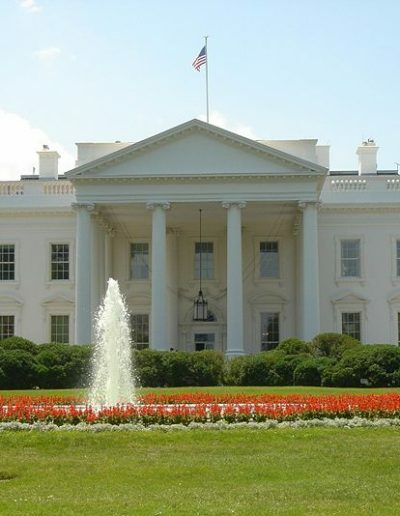 From around 1715 one could find these early neoclassical Palladian buildings in England with its porticos, pediments, and pillars which would become so typical for many homes in Great Britain and the USA (as the White House in Washington D.C.). When around 1760 the Scottish architect Robert Adams returned from his Grande Tour, he developed a style inspired by Palladianism and his own recordings in Italy, but also by Chinese and gothic ornaments. This style became known as the “Adam style” and is regarded as the first complete neoclassical style as this style was not restricted to architecture alone. Adam did not follow the strict rules of Palladio (which he did not like much), but there are the obvious similarities – at least at first glance. In the USA this style would become the “Federal Style”. Adam’s design showed much symmetry in design and among his favorite themes were fluted pilasters, rams heads, draped festoons, flower wreaths and oval pateras,2 all in low relief and with a perfect balance between decoration and utility. During the reign of King George III of Great Britain, the Prince of Wales was the Prince Regent due to an llness of his father. Although this regency lasted from only 1811 to 1820 – when the Prince became King George IV -, in art history this English Regency usually indicates the style that lasted from about 1795 to 1837 and can be considered as Late Georgian. During this period there was a revival of ancient Roman and in particular Greek styles, but more decorative as during the neoclassical style of Robert Adam. In France, this style was adopted from around 1770, especially due to the influence of the fashionable Princess Marie Antoinette (spouse of the future King Louis XVI). These early French examples still showed remnants of the rococo but as time progressed it became more and more classical. The French style was more decorative than its English counterpart and it became known as the “Louis Seize Style”.3 It was later followed by the Directoire and subsequently by the Empire. Following the storming of the Bastille in Paris, 1789, the French revolution set the stage for political turmoil which would last for a decade and in which many aristocrats – as well as counter-revolutionists – found their fates being sealed by the guillotine. During the last years of the revolution, from 1795 to 1799, France was ruled by five chosen “directors” and this period is referred to as the directoire (or directory). The style of the directoire is a transition between the Louis Seize style and the later Empire style. When the revolutionist general Napoleon Bonaparte returned to Paris from the many wars that were fought by the French – both domestic as abroad -, he soon took over power as the Premier Consul of France. Five years later, in 1804, Napoleon crowned himself as emperor of France and this reign lasted to 1814. The victories of the revolutionary and Napoleonic wars – where Napoleon captured most of mainland Europe and Northern Africa – led to a revival of an Egyptian revival in France. Typical decorative elements from the different conquested nations can be found in the French Empire style from around 1800 and many other countries soon adopted this style. There was a great admiration for the period of the twelve Roman emperors which was expressed by the laurel wreaths and other typical Caesarian decorations. Trophies and like heroic ornaments were used in abundance to show the grandeur of the French nation. As in Great Britain inspirations were drawn more from the ancient Greeks than from the Romans (as in France). One of the polymaths in the Greek revival – or Hellenism – was Johann Joachim Winckelmann who published his Geschichte der Kunst des Alterthums (“History of Ancient Art”) in 1764.4 As Germany always has been – and still is – an accumulation of semi-independent states, ruled by different Princes and other nobility, one can not generalize the styles in the Holy Roman Empire. In some states, the enlightenment was favored, while in others it was not. The German parallel to the English Regency and the French Empire styles is the Biedermeier style. To finance the war against France, the German nobility was asked in 1813 to turn in their golden artifacts. As a patriotic reward, they received an iron cast ring with the words “Gold gab ich fur Eisen” (“gold I gave for iron”). This Fer de Berlin – as this type of jewelry became known – later developed into a new rage in Germany. Jewelry from the late 1700’s and early 1800’s can be characterized by typical shapes and ornamentation which are highly architectural. Oval and navette shapes were highly fashionable and these were used extensively in rings and pendants. Diamonds and pearls were the favorite choices as precious gems. One can find many jewelry pieces from the turn of the 19th century set with a rim of pearls or diamonds, around a center depiction (which could be center stone, a portrait or a memento mori). Many gemstones, especially diamonds were still set in closed backs, but around the turn of the 19th-century, a jour settings made its appearance for diamond jewelry. From around 1750 silhouettes were used to commemorate loved ones or idols, as royalty. The memento mori jewelry expanded to incorporating hair of loved ones into depictions, or even into complete chains made from hair. During the end of the 18th century, micro mosaics became popular and this type of decoration technique really developed from about 1810, swell as for pietra dura mosaics. Greek key – and running dog – meander ornaments were very popular from about 1800. The Italian campaigns by Napoleon Bonaparte against Italy in 1796 caused a renewed interest in Roman culture as the art of glyptography. Napoleon issued the formation of a cameo carving school under the guidance of Jouffroy Romain-Vincent. A popular style of necklace around 1800 was the necklace “en esclavage“, a necklace made from a series of plaques (cameos, mosaics or depictions of other material) which were connected by several fine chains. The 1798 war between France and Egypt caused a rage of Egyptian motifs as sphinxes, pyramids, palmets, papyrus leafs and scarabs. During the late 1700’s the industrial revolution started and workshops transformed from serving the local communities to llarge-scale export companies. Especially smiths from the town of Hanau in Germany took orders from international jewelry houses according to provided designs. As Hanau was a “free town” where no guild rules were applicable, they did not just export jewelry to several European commissioners but they also didn’t need to obey to any hallmarking rules – or even stamped pseudo hallmarks on the items. The latter is what makes it virtually impossible to determine the origin of these jewelry items, unless documentation is present in the form of design drawings in the archives or the obvious hallmarking clues that were indexed from studies that started on that subject as of the late 19th century. Kant, Immanuel. An Answer to the Question: What is Enlightenment?, 1784. Litchfield, Frederick. Illustrated History of Furniture, 1893.